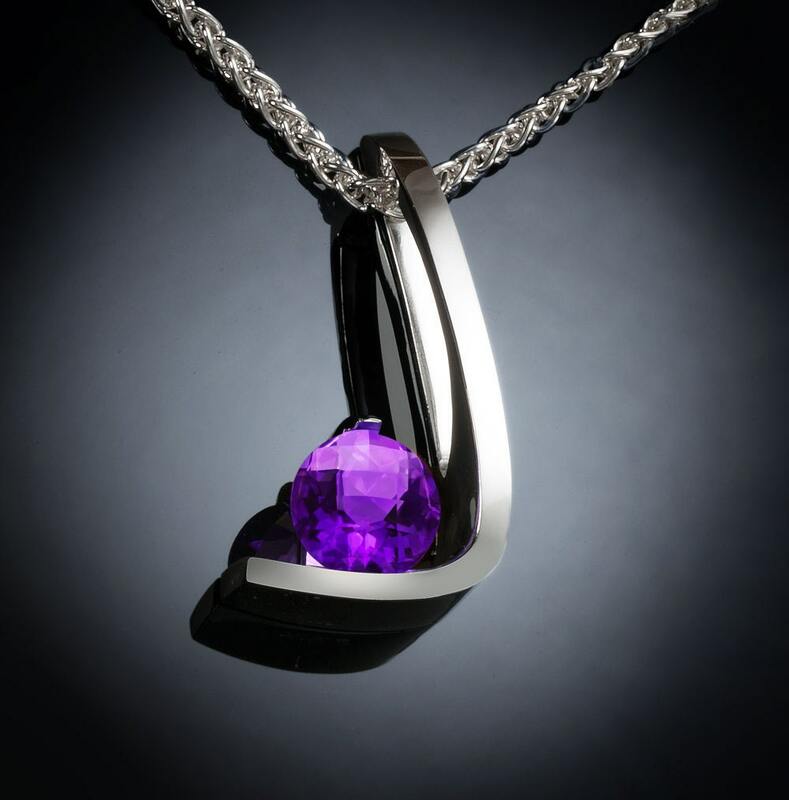 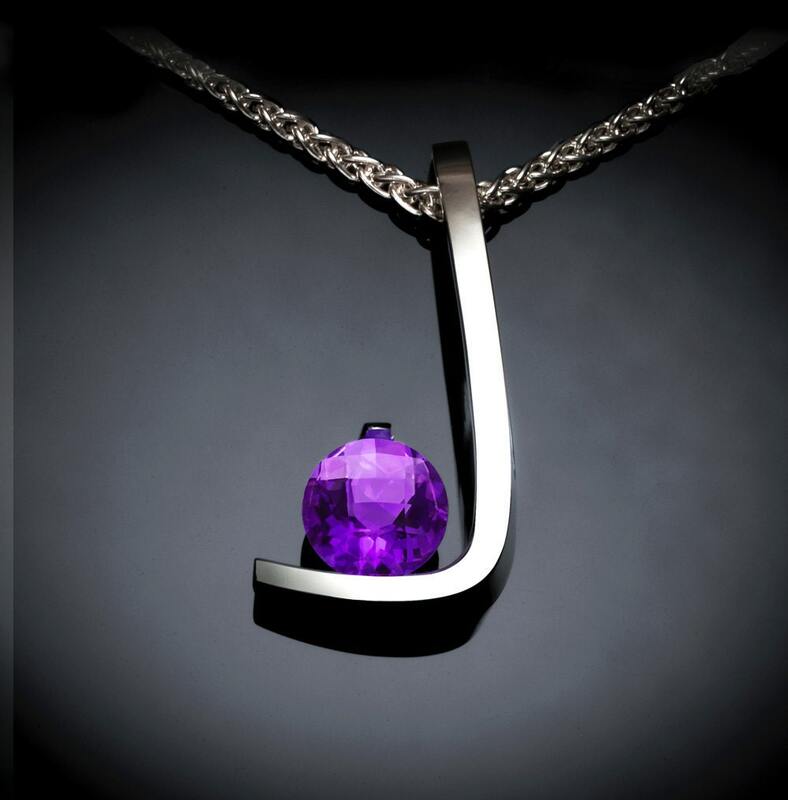 This Argentium Silver pendant holds a 7mm checkerboard cut Amethyst by the spring tension of the design. Sculpted depth allows for the chain. 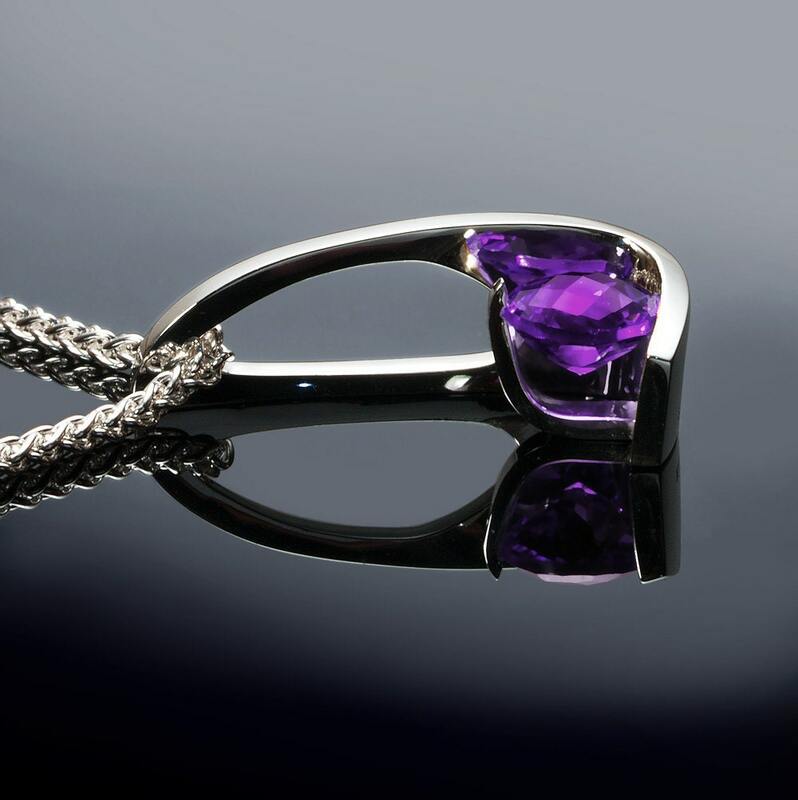 This piece, measures 25mm x 13mm, or 1 x 1/2 inches.